November 16th is the 320th day of the year (321st day in leap years) in the Gregorian calendar. There are 45 days remaining until the end of the year. On this page, we have placed information about November 16th, including famous people born on, historical events that occurred on, holidays and observances that fall on, and astrological connections of, this day. 1532 Spanish conquistador Francisco Pizarro capture the Inca Emperor Atahualpa. 1790 During the French revolution's Reign of Terror, Ninety anti-republic Catholic priests are executed by drowning in Nantes. 1857 Indian Mutiny (known in India as "First War of Independence"): British troops relieve the beseiged Residency at Lucknow - 24 Victoria Crosses awarded in one day's fighting. 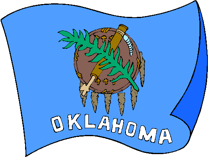 1907 Oklahoma admitted as 46th US state. 1914 Federal Reserve Bank of the United States opens. 1920 Qantas (the Australian national airline) founded the Queensland and Northern Territory Aerisla Services Limited. 1940 German bombing devastates the British city of Coventry. 1973 US President Richard Nixon signs the Trans-Alaska Pipeline Authorization Act, authorizing construction of the Alaska Pipeline. 1965 USSR launches Venera 3 towards Venus, it will be the first spacecraft to reach another planet. 1996 Mother Teresa receives honorary US citizenship.